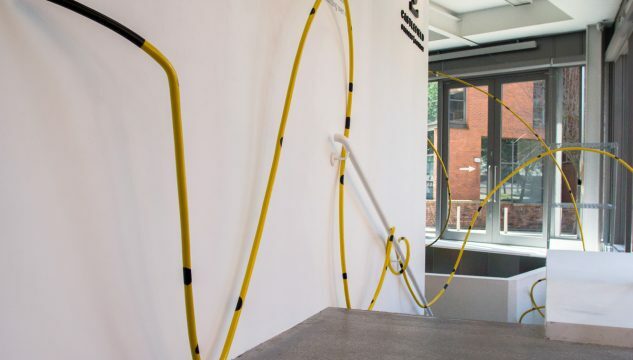 In collaboration with UK/Belgium-based artist Tiago Duarte, Castlefield Gallery is inviting Belgium-based artists Joke Van den Heuvel, Vijai Patchineelam, Adrien Tirtiaux and Floris Vanhoof to exhibit existing, new and site-specific work. 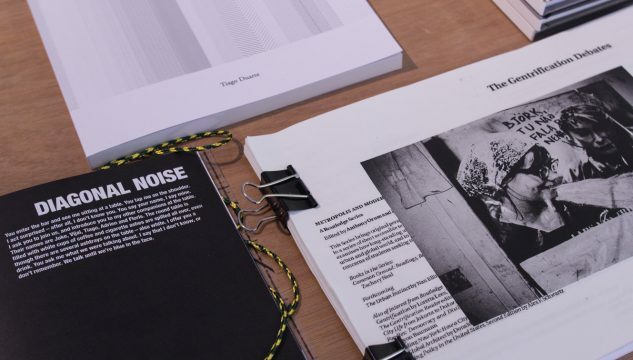 Diagonal Noise will also include a reading area displaying publications by Posture Editions (Ghent, Belgium) and the exhibiting artists, alongside publications by artists and organisations based in and around Greater Manchester. 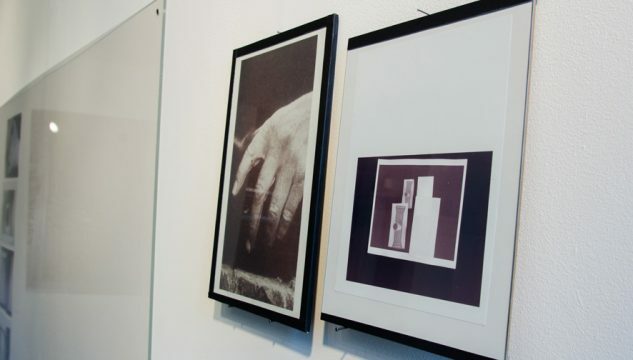 Diverse subjects and disciplines inform the practices of the exhibiting artists. Considering the effect technology has on the formal qualities of contemporary art, Duarte looks for recurrent patterns in the mechanics of production. Though these patterns may manifest inherent malfunctions or misappropriation of media, they form the basis for the continuation of erratic and repetitious exercises. 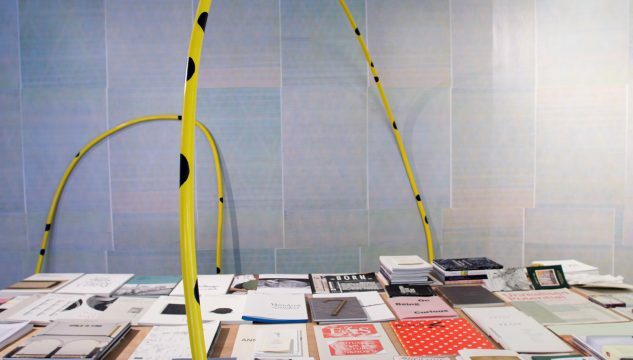 Like Duarte, Vanhoof investigates technology, particularly formats whose days may be numbered, experimenting with analogue technologies that used to be known as ‘high-tech’ alongside contemporary digital technology. Technology is not an end in itself, but a means for poetically exploring images, ideas and sound with works that often begin as live performances. Sudden Shifts (2012) by Patchineelam was filmed in Jardim Canadá, Brazil, a small rural town which has seen radical industrialisation in the last decade. Static camera positions, montage and abrupt cuts continually reorganise durational still lifes of industrial objects and abandoned furniture, pressing at the boundary between narrative and non-narrative relations to image and site. Van den Heuval is also interested in narratives produced by the barely perceptible, acknowledging that the meaning of images cannot be contained by language. 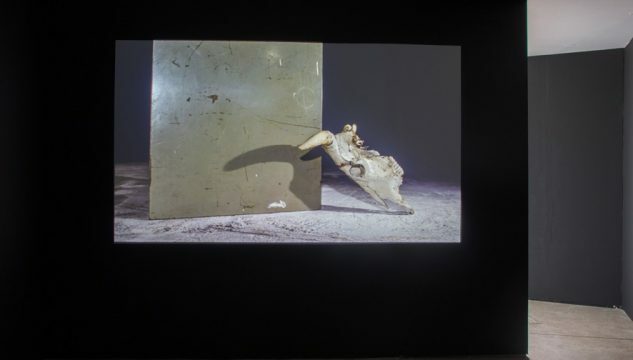 Recordings of repetitive actions and monotonous characters in looping scenes blur the observer’s focus, inducing a kind of blindness towards the object – a blindness that makes seeing possible again. Tirtiaux deals with the specific characteristics of exhibition and public spaces, creating architectural interventions or large-scale sculpture informed by a careful examination of the given context in which he acts and works, drawing on the strategies of 70s conceptual art and the direct pictorial language of comic art. Joke Van den Heuvel b. 1983, lives and works between Antwerp and Edinburgh. She has a Master of Arts from Sint Lucas University College of Art and Design, Antwerp, Belgium; and currently holds a research position at MICA, Baltimore, U.S.A. Koen Sels writing about Van den Heuvel’s work in 2016 “One might keep on forgetting it but images are things. They cannot answer questions about their circumstances or intention; we have to /or can put these words into their mouths ourselves. What is more, they consist of a matter…magical frames that are unfolded synchronously or in succession play next or behind each other and are clicked away again, back into the deep space of the web…’’. The images Joke Van den Heuvel uses are not intended to be interpreted easily rather they form a process of signification and resonance that act as a proposition to the viewer. 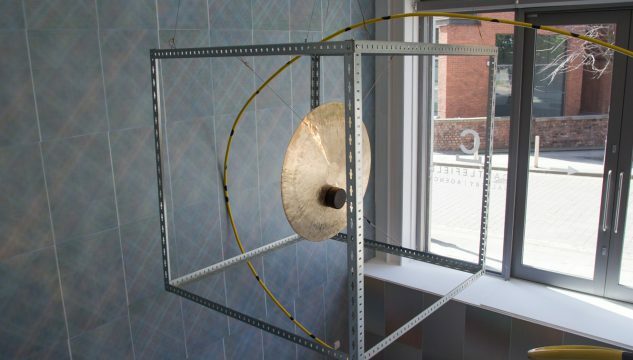 Diagonal Noise has received additional support from Flanders Department for Culture, Youth, Sports and Media.